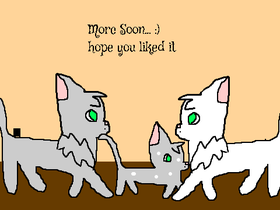 I LOVE WARRIOR CATS, Wolves, Mlpfim, Adoptables,Survivor dogs, Fnaf and Art. Oh and I am also starting to like Pokemon and Minecraft! Warrior Cat Fan Art! Lets see if I can draw all of them! Tangleclaw's Prophecy Warrior Cats Movie Studio!